What a wonderful little piglet. This toy has unique details such as it's little nose, hoove hands, and color contrast folded ears. So cute and ready for you make via instant download. 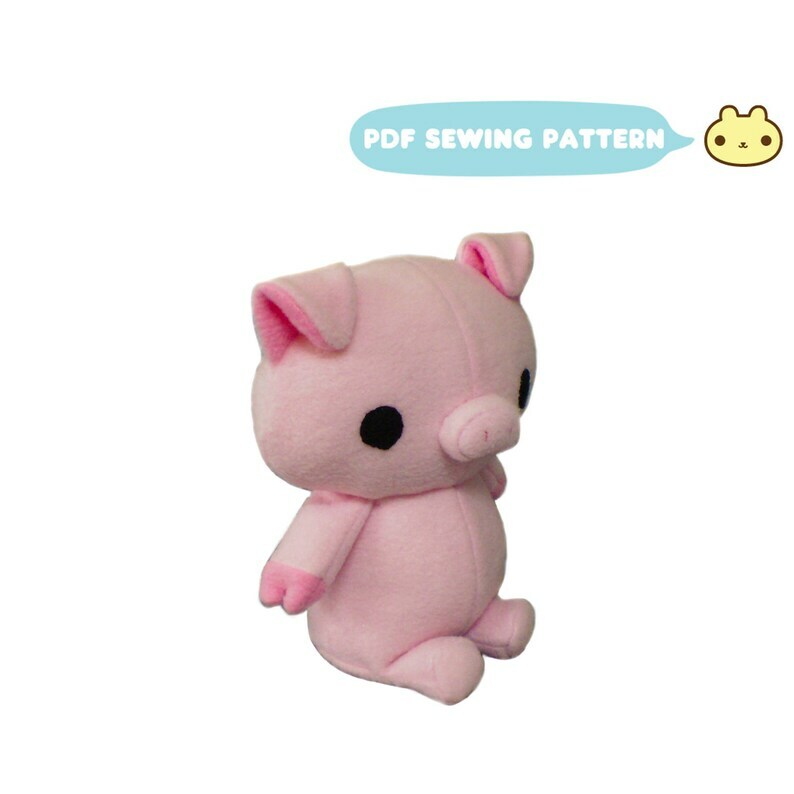 You can sew your very own plush pig using this stuffed pig sewing pattern!